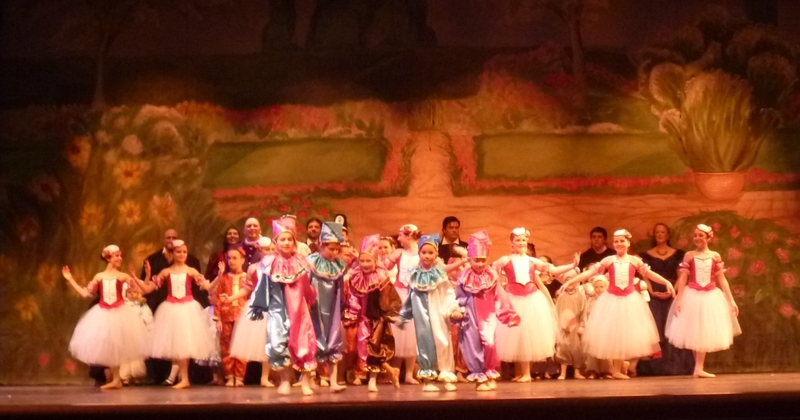 I was a Bon-Bon in the 'Northeastern Ballet' "The Nutcracker" production for 2013. I appeared in all three shows, two in Durham, N.H. and the other in Wolfeboro, N.H. 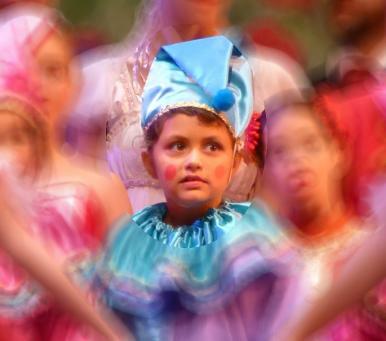 It was my first time in a ballet or any big show like this. I had to go to rehearsals every Saturday since September. It was fun. I enjoyed being in front of large crowds. 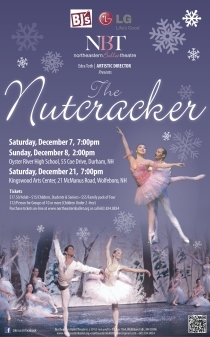 I hope to be in other productions with 'Northeastern Ballet'. 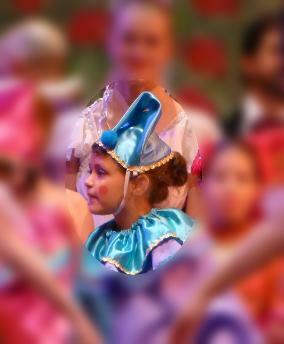 The performance days were long. 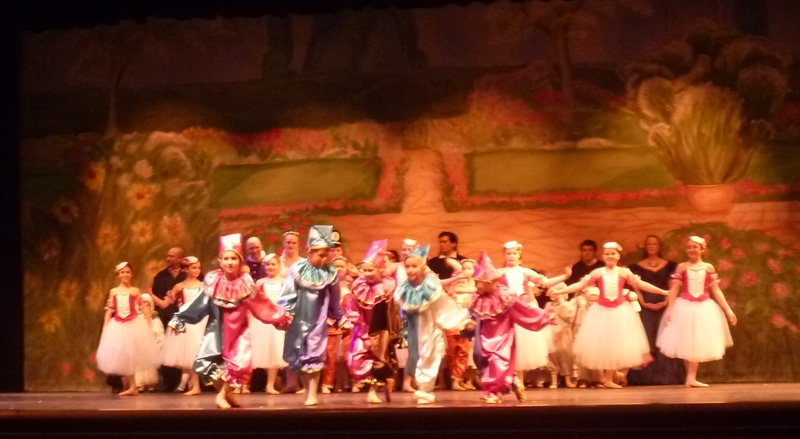 Twice we did a full dress-rehearsal before the show. So I would have to be at the hall from before noon till the show finished at around 9:20. But, it was fun. We don't get to see the show. We are in a back room. So I haven't seen the show! ....The one on Left is from Wolfeboro, the 3rd performance. On the Right is from Durham, our first performance. I am the second but last to come out of the bag. I am blue and purple with a blue hat. Pictures From Durham, on December 8, 2013. 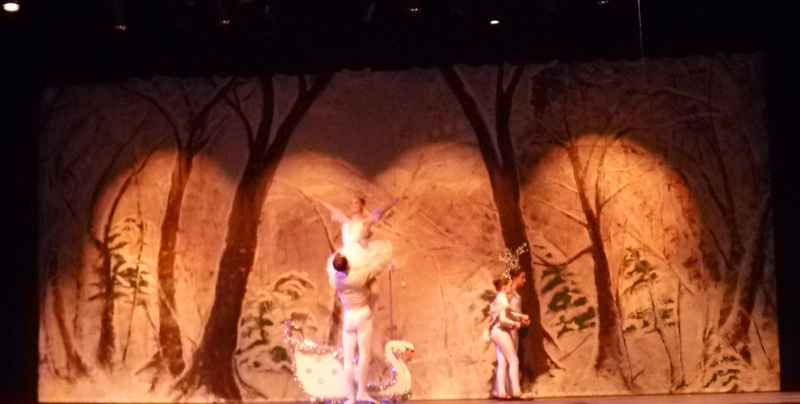 Pictures From Wolfeboro, on December 21, 2013.
beautiful white Nutcracker as a present. Thank you Mrs. Cook. I love it.